We provide safe and secure storage in a convenient, clean and professionally managed operation that exceeds our customer's expectations. Let us help you find the size that fits your unique budget and needs. We make it easy to reserve units which will be ready when you arrive. Whether you are looking for temporary storage or a more permanent solution, H&H Storage has a self storage solution that’s right for you. 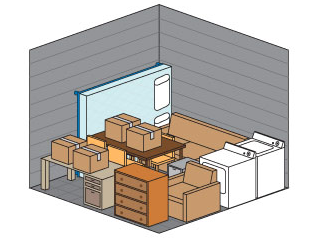 Conveniently located in central Marin County, H&H Storage provides our customers with the cleanest, most secure storage facilities while accommodating every customer’s moving and storage needs. Our highly motivated and well trained staff would love to use our expertise to help you with your moving, storage and relocation needs. 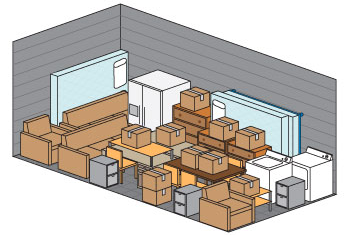 We’ve got the right size of storage for those things that just don’t fit into your precious space at home or in valuable office space which has now become a hassle. Choose from a variety of sizes that meet your unique needs and budget. Think of this unit as the largest closet in your home, complete with easy access and superior lighting. It’s perfect for storing those irritating files you have to keep on hand for your business, small pieces of furniture that you love but can’t depart with, sports gear between seasons, holiday decoration and much more! Priced to be affordable and backed with our state-of-the-art security. Still hanging onto grandpa’s hand crafted table? Should that patio furniture have to suffer another punishing winter outside? 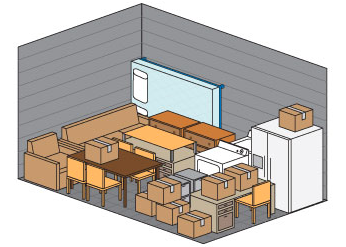 How about those extra desks and chairs from your office when you need to downsize or remodel? This is the perfect unit to get that stuff out of your face, creating that instant zen environment you seek. It’s the size of that closet that we’ve all dreamed of with the glass cabinets for shoes, purses and those incredible hats that are for special occasions. This unit can pack in the contents of one bedroom in your house or that awesome conference room table you know you’ll need one day. Pick from this family of sizes and hang onto that baby furniture that you want to pass on to your friends or kids! 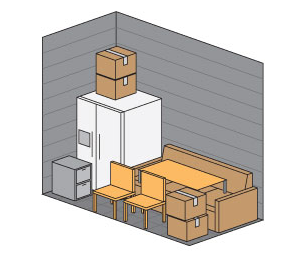 Our 10 x smallish series of units are the perfect solution for packing away one large room or two small bedrooms. 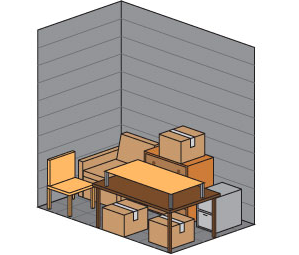 This famously popular size has been known to swallow the entire contents of a small office. If you’ve got this type of a storage problem, we’ve got your perfect size! Need to pack away all the goodies of your 3 bedroom apartment or a single family home? This unit is the “grande” of our unit sizes that helps you conquer storing those interesting items like a piano, motorbike/ATV, small water crafts and much more. 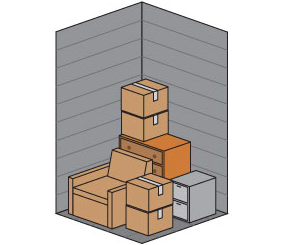 Drop them off in our storage utopia and have them ready for you when the timing is right! Call us at 415-453-1144 or use the form below to contact us. Copyright © 2018 H&H Storage All Rights Reserved.